Notes: I don't make a habit of reading books in progress, especially from those not already established as authors, but I do make the occasional exception, especially when the book comes from someone whom I've read in the past and know they're a decent enough writer. That is the case here. Willis started as a gaming friend from back in my newspaper days, but I've read some of his fiction before and know he is a solid beginner who handles characterization quite well. 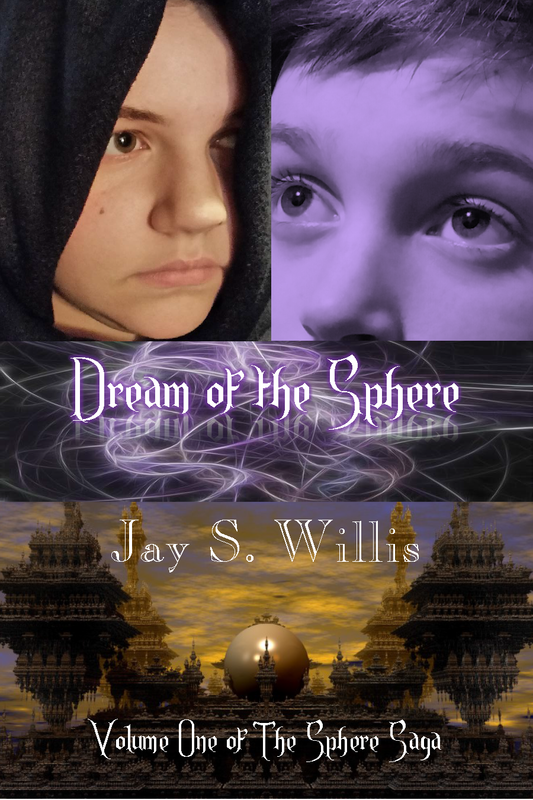 This is the first book in a new trilogy which he's been working on, and I'm glad to get a shot at it. Mini review: This is quite the unique story with strong characters and a fairly tight plot which revolves around a world where people occasionally vanish, supposedly taken off to join their gods in an afterlife. I don't want to spoil anything, but let's just say things aren't quite what they seem, and the story here goes into those details while setting up potential for other books in the series. There was still a roughness here, not bad writing but inexperienced writing, though Willis is growing stronger with each project he undertakes. It took me a good long while to read this one because I've also been reading other, long works, and because I was editing and offering pretty extensive notes while reading. I think it'll make a good book when it hits the market, though I don't know when that will be. Having recently gotten back into longswording, I decided I needed a practice sword. Not yet sure I wanted to fully commit to this sport, I decided to go cheap in price. What I got for $30 was this hand and a half training sword from Cold Steel. It's 44 inches long with a 34 inch "blade," in the area of the shorter longswords. The entire thing is made of black polypropylene, basically a hard plastic. It weighs about 2 pounds, which is about right for the lighter longswords. The balance point comes about 4 inches along the blade from the cross guard, which is more or less about right for a longsword. I've enjoyed using this practice sword for drills. I wish the 10-inch handle was a couple of inches longer, but I've not had any problems with it or the sword, and besides, I've got pretty big hands. To add, I do like the shape of the handle quite a lot. I've seen a number of negative reviews online concerning this practice weapon, and while I've understood from where the reviewers were coming, I also felt they were being rather harsh. You get what you pay for, after all, and a traditional, steel practice longsword can cost anywhere from $250 to $600 or more (I've got one coming in the mail, by the way). The complaints usually point to the fact this sword is made of plastic, and that it is hard and has little give in the blade, meaning it is not necessarily the safest choice for sparring. Again, I understand, but personally I don't think of this as a sparring practice weapon, but one specifically for drills and the like, maybe slow practice fighting. Sure, I don't want to be hit by this sword because it would hurt, but I'd never use this sword for actual sparring, and I'd likely not face off against an opponent using one. But that doesn't mean this is a bad practice sword, just that it shouldn't be used for sparring. 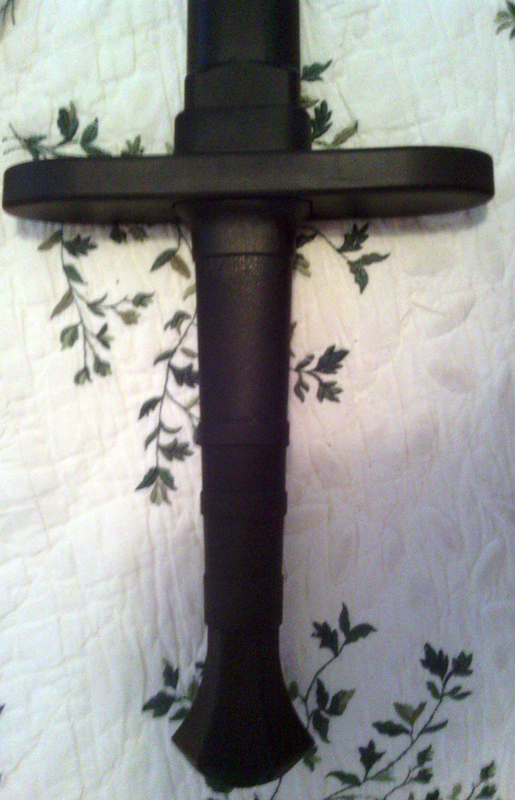 For guard positions, movement, drills, etc., I found this Cold Steel training sword a fine tool. The only reason I'm ordering a steel practice sword with a safety tip is for sparring, fencing. That doesn't mean I'll no longer use my Cold Steel sword. It simply means I'll use the Cold Steel sword for drills and the like at home, but in actual classroom situations or fencing, I'll use my other, steel practice sword. Anyway, I like the Cold Steel training hand and a half for what it is. It's cheap, meaning it's good for beginners, but beginners who stick with fencing should be prepared to spend more money later on. They're eventually going to have to buy safety equipment, after all, and a sharp sword for cutting exercises, and that stuff's not cheap. This might appear to be the flat of the blade, but it's actually seen from the side, which shows the width.